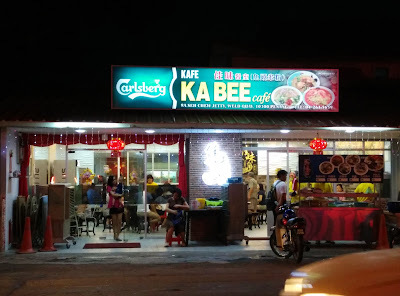 I have been a regular at Ka Bee (previously known as Kar Bee) for over 10 years since introduced by my dad's diving friends. 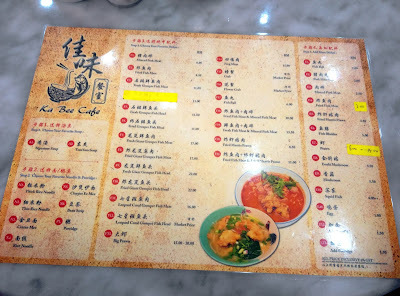 To me, it serves the best fish noodles in town. 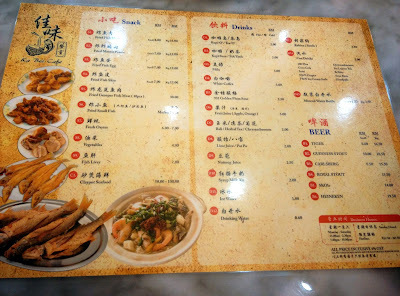 Just freshly renovated, we decided to try their new environment and also check out their new pricing and changes to their menu. It used to look like a wooden shack but now we're surprised by the 360 change. 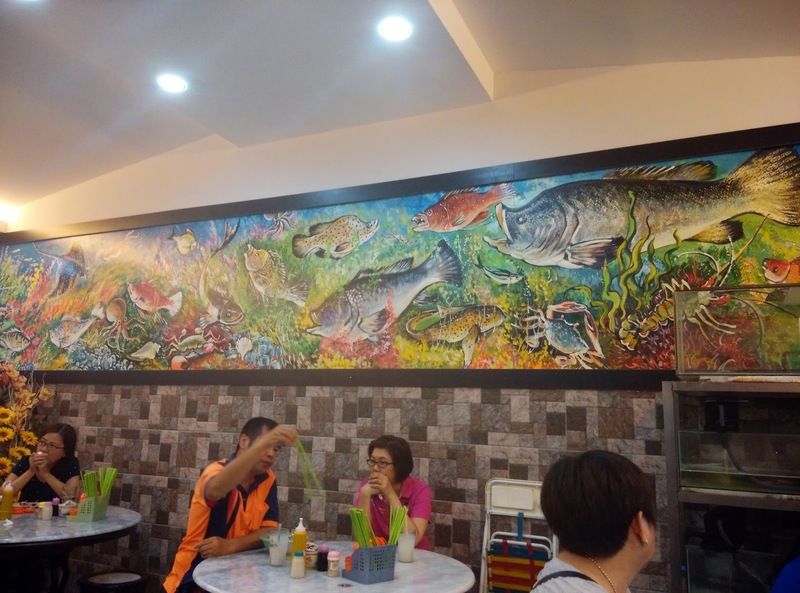 Magnificent wall art that signifies the cafe. 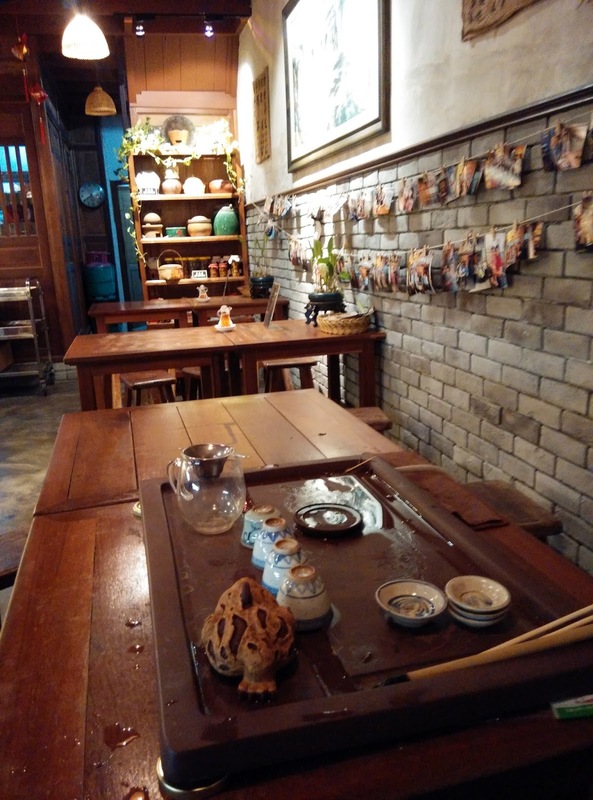 They expanded into two shop lots, constructed brick walls, installed plaster ceiling, air-conditioner and spotlights alongside new tables, chairs, bowls and utensils. 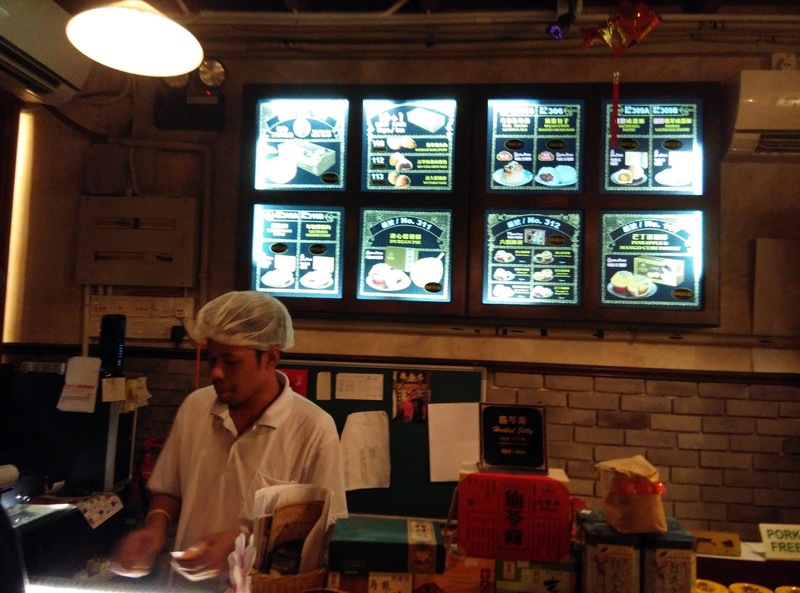 Comfier and cooler environment makes customers' waiting worthwhile. 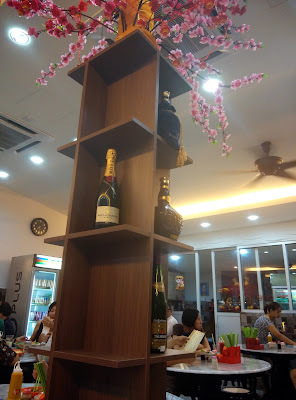 Elegant piece of menu with the same signature dishes. So glad they preserved their decades long menu. 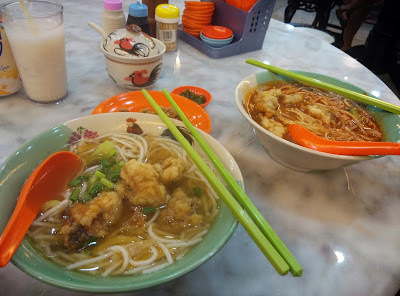 As usual, I ordered the signature soup noodles with fried fish fillet (RM8.50) while hubby ordered tom yum noodles with fried fish fillet plus extra noodles (RM10). 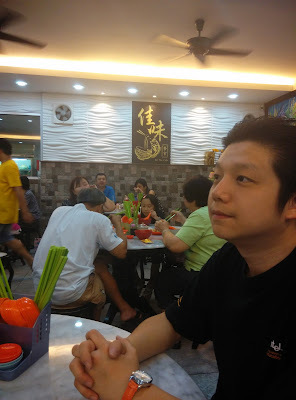 Is it just me or does most stalls in Penang serves fried fish fillet that has an odd chemical taste. You know that sort of taste when you add too much baking powder or soda into your cake. These ingredients are commonly added into fried fish batter for volumn. Ka Bee is like the only place I can find fried fish fillet with natural taste and thin crispy batter. Most importantly no weird chemical taste. In conclusion, I would patronize Ka Bee over and over again despite the price because the broth is so naturally seasoned with seafood and not overpowering with MSG. Address: 9A, Seh Chew Jetty, Weld Quay, 10300 Georgetown, Penang. 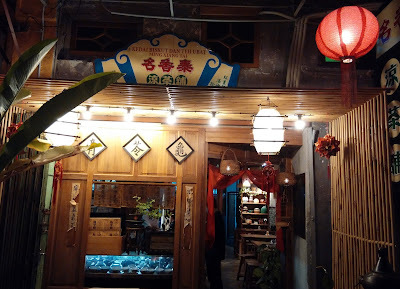 After our dinner, we walked towards the side of CF Foodcourt and found this traditional store Ming Xiang Tai that sells biscuits and desserts. What a nice environment for tea. Was attracted by the durian ice-cream as it is hard to find in Penang but immediately regretted. First of all it costs RM10 for such a small cup. 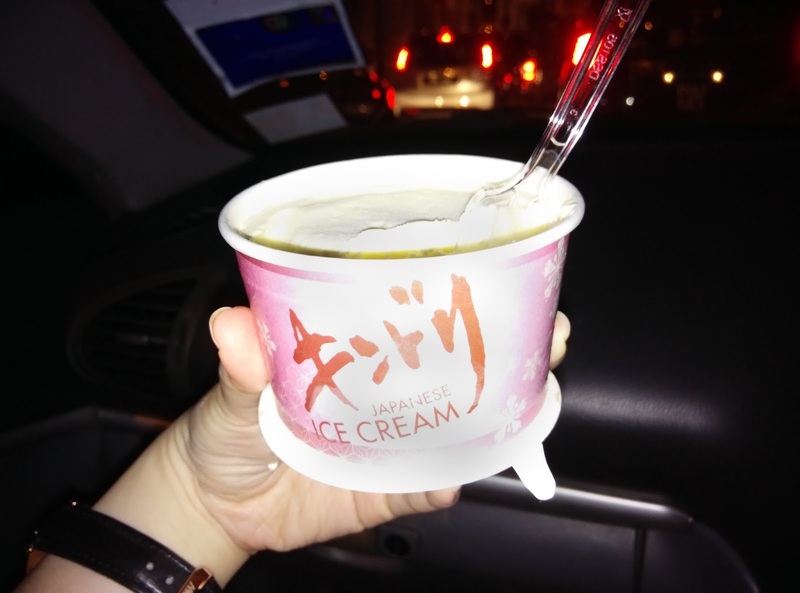 Secondly, it has an oily pungent smell of Chinese durian kuih or dodol. I was expecting sweetness similar to unprocessed durian. Not tryna sound like Kanye but Macau has one of the best durian ice-cream of all time. You definitely got to try durian ice-cream at Gelatina Mok Yi Kei in Rua do Cunha. Then you can get back to me. It's all in the type of durian used to make ice-cream. Thank you very much, TE Teoh.